This past Saturday, I gave a talk on Chicago’s early twentieth century commercial recreation centers the 2011 Working Class Studies Association Conference at University of Illinois-Chicago (UIC)’s conference center. As I said a few posts ago, there was a certain fit about this year’s setting: the Hull House Museum, once the headquarters of Jane Addams’ vast Hull House settlement house complex, sits on Halsted right at the bony knee of UIC’s imposing Brutalist-style Student and Conference Center. Maxwell Street today. Photo by the author. Of course, there’s also a deep poignance (in the full “piercing” sense of the word) associated with the site of this year’s conference. This year’s conference attendees on the third floor of UIC’s Conference Center were, knowingly or unknowingly, perched high above what was once one of the densest, most diverse, and eventually the most visible working class neighborhoods in the country. Nearly all of this history is gone of course. 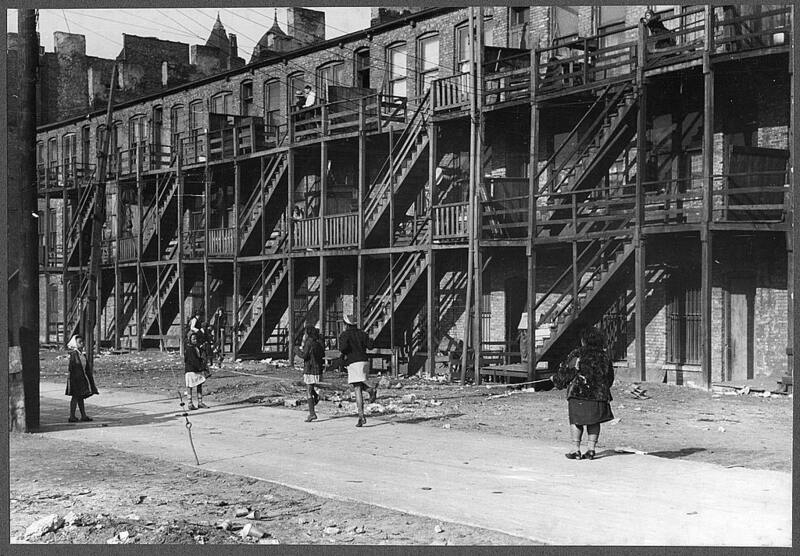 Not only is the majority of the Pond & Pond-designed Hull House complex gone, but so are large swaths of the surrounding Near West Side community, once home to tens of thousands of foreign-born Chicagoans (working Chicagoans making up the vast majority). Several square miles of former Little Italy were demolished in the 1960s for UIC’s newest Skidmore Owings & Merrill-designed campus. Nearby was the long-gone Maxwell Street market, a lively commercial avenue important not only to the neighborhood’s social and commercial life, but also a nesting ground for what became Chicago’s own unique style of blues music; today, the old Maxwell Street and its vicinity have been vaporized, replaced with UIC’s new mixed-use development called “University Village” with shops and businesses at grade with dormitories and apartment living above. 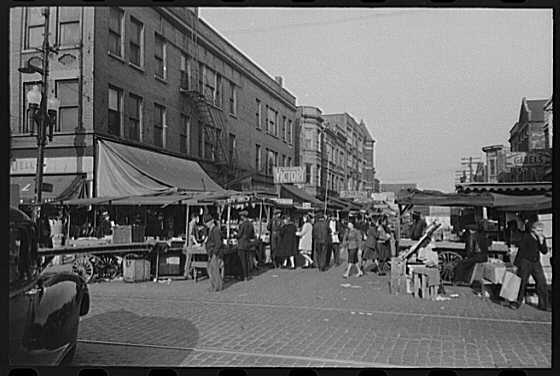 It may be safer and cleaner than old Maxwell Street but it’s definitely not a must-see destination. 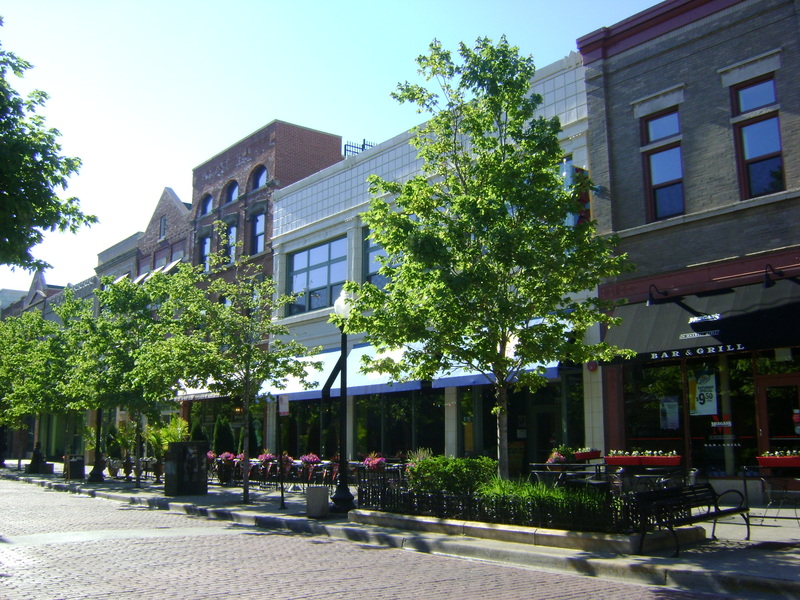 A “village” this sterile street of uninteresting streetscapes and sidewalk sports bars it is not. 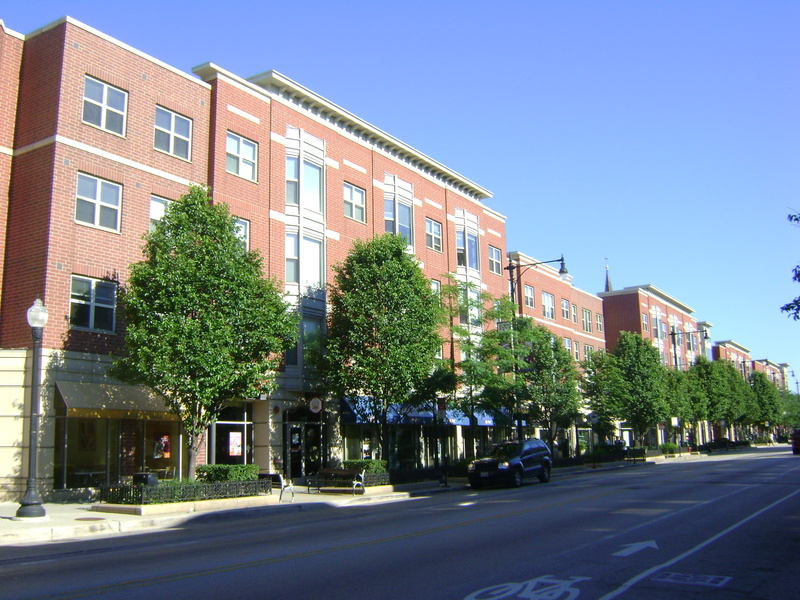 Halsted Street's reimagined as "University Village." Photo by the author. My “Architecture and Class” session at this weekend’s conference was shared by fellow speaker Joseph Bigott, author and historian from Purdue University-Calumet, and Ann Durkin Keating, author and historian at North Central College. While the irony of the conference ‘s setting was not addressed in our architecture session, we did touch on the the ideas of historic preservation and the presence (or in many cases notable absence) of working class sites, designers, builders, and dwellers from the academic conversation on preservation. In his fascinating talk on early twentieth century Chicago public schools, Joseph Bigott called on architectural historians to look more closely at those and other important structures built by ordinary people for ordinary people for ordinary use; in other words, celebrate the everyday as much as so-called monuments of architecture. From my perspective, I’ve found that designers and historians have been paying more attention to modern vernacular architecture for at least a generation or more. Parallel movements in the last half of the twentieth century – preservation on one hand and the New History on the other – merged in America’s new state of multiculturalism to form more inclusive methods of researching, recording, and designation. Not only have the stories of minority Americans been lent a more eager ear; the structures and stories of America’s laboring communities have moved maybe not to the fore but certainly much further into the limelight than ever before. I would argue that no it may not be the star of the show, but working class architecture has certainly made it onto the stage and in some cases has had its voice heard in a big way. Apartment houses in 1940s Washington, D.C. - photo by Russell Lee. Photo from Library of Congress Prints and Photographs Online Catalog http://www.loc.gov/pictures/resource/ppmsca.01561/ . Joe Bigott also spoke at length about the work of designer and theorist David Pye who in post-war Britain spoke to the necessity and value of the handmade craft of the “man-sized artist” (an echo of the Arts & Crafts style ideal can be heard). Joe read a passage of Pye’s written in his Nature and Aesthetics of Design: “To be an artist of limited scope is not to be a mediocre artist.” Isn’t that a great guiding philosophy, not only for those artists and architects among us, but also for those in the art and architectural history and preservation communities who survey, analyze, and designate these built works? To paraphrase Joe, we should all be more open to telling the stories of those effective architects of everyday buildings, those everyday designers who built most of what we see as our cities but whose names are forgotten. In future posts, I’ll be posting examples of work by those”second-tier” architects I’ve uncovered. Also, I will hopefully be continuing an attempt to work out the significance of those works of “limited scope” but not necessarily limited talent.